potential as healthy, drug-free citizens. 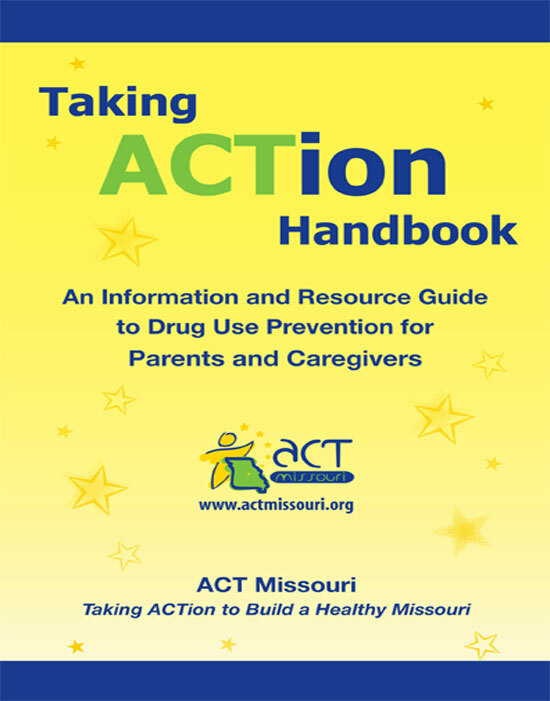 handbook gives you a starting point, something to help educate you and your child and initiate conversation about the dangers of alcohol and drug use. According to the 2016 Missouri Student Survey, the average age of first use was 10.85 for inhalants, 12.71 for cigarettes, 13.43 for alcohol, and 14.11 for marijuana. Thus, we know that it’s important to talk to your kids about drugs at an early age. The handbook provides age appropriate information to share with children and offers discussion tips for you as your child transitions from elementary to middle school, to high school and beyond. 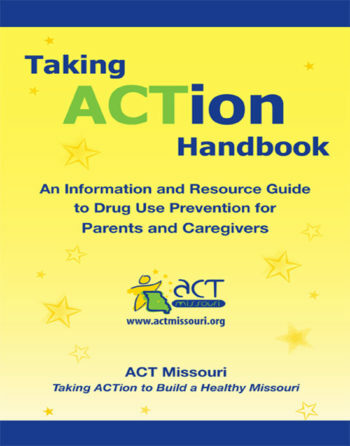 Please take ACTION by sharing this handbook with friends, other parents, caregivers, teachers, and community leaders.